Grinding Gear Games (GGG) is not messing around with Path of Exile's console debut, either: the Xbox One launch will contain all of the game's expansions, including the most recent one (Fall of Oriath). That means a whopping 10 Acts of content, compared to the original 4 Acts in the base game. The game's PC version has been very highly regarded by many ARPG fans and has continuously provided content to its players over the years since its launch. In a blog post by GGG's co-founder, Chris Wilson, he reaffirms that content will continue to be created in the coming months and years. The closed beta will be running for approximately three weeks while GGG collects testing data and feedback. 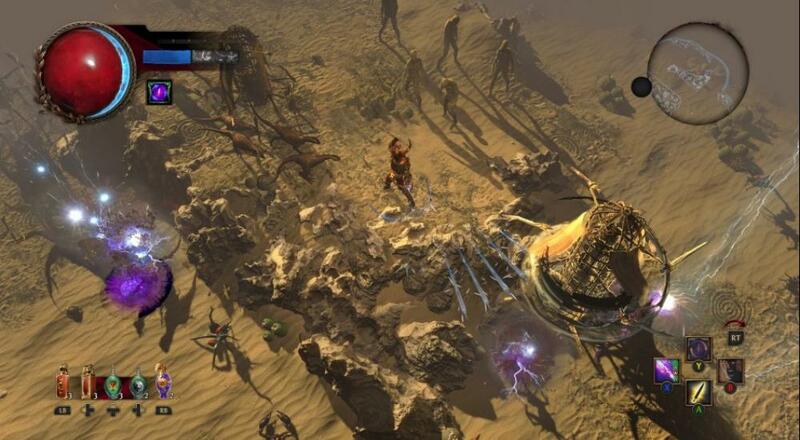 Prospective beta testers should sign up on the Path of Exile website for their chance to receive a closed beta key. When the game launches on Xbox One, it will be completely free-to-play like its PC version with micro-transactions that in no way affect gameplay or character power levels. It will support up to 6 players in online co-op play.